There are some toys that seem to stand the test of time. 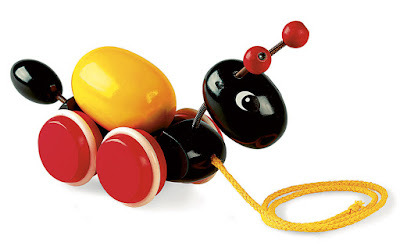 Sure there is a rise in the love of the electronic beeping plastic toys but pull along wooden animals are toys I remember from my childhood (wooden alligator anyone?) and the premise is simple, and would you believe when we opened the box the squeals of joy from little man were so sweet. A humble wooden toy that clicked clacked along and the egg on his back rolled and rolled. He would pull it along shouting "byeeee byeee" as he takes it for walkies. Its very sweet to think that they can still find such joy in a simple thing. It really is a very cute little bug. Its sturdy (and I know due to the boys in this house enjoying giving toys a constant work over) and easy to move. BRIO pays attention to every detail through the design process and has always been dedicated to creating products that add extra play value, encourage learning and develop fine motor skills. The antennae are on bouncy springs along with the neck - as you pull along the bobble about. The egg on the back is separate to the ant and as you pull it rotates round and round. Which makes the little one squeal. 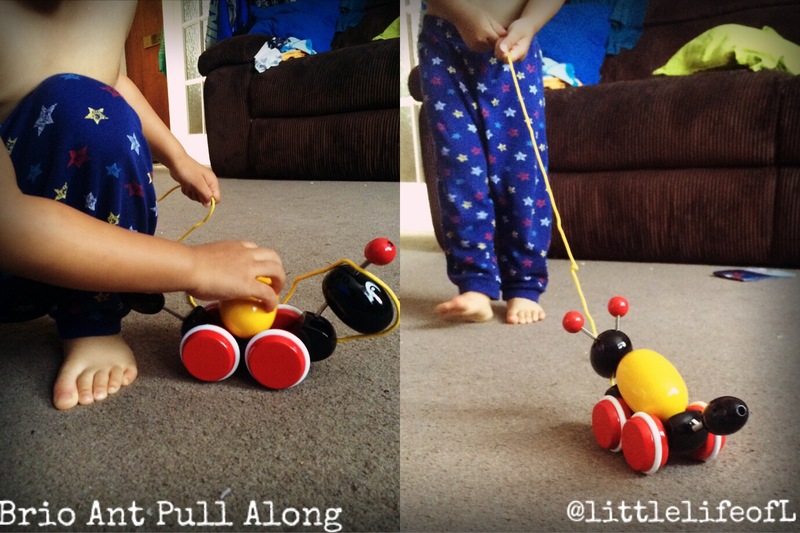 The rope to pull along is very well installed (and the boys have giving it a good yanking) and just the right length to pull along. 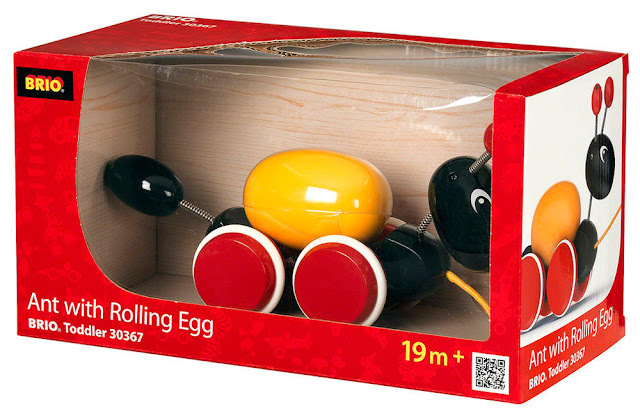 BRIO is a fantastic brand which has a long heritage for over 130 years, which means they really know their stuff when it comes to making toys that last. 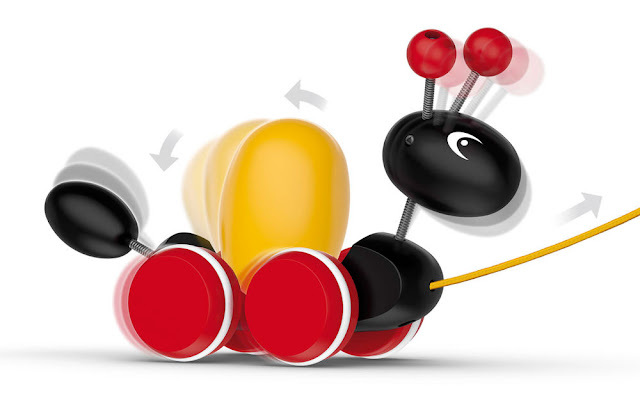 All BRIO wooden toys are made from FSC certified wood which means its traceable and originates from responsible Forestry which is always good to know. I do love wooden toys and they have such a nicer feel to the plastic stuff that the kids seem to like. **We were sent the product to review but all thoughts on the product are my own.